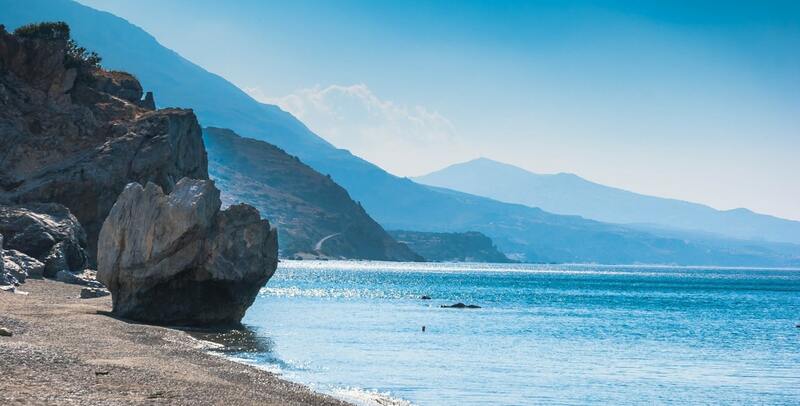 Crete is the biggest island in Greece and has an overall population of 1 million people. The big cities of Crete are Heraklion, Chania, Rethymno, Agios Nikolaos, Sitia, and Ierapetra. The main ports of Crete are Heraklion and Chania and are located on the northern part of the island. The rest of the cities are spread all over the island. Some of them are located on the southern part of Crete, facing the Libyan Sea. The ferries that connect Crete to Athens as well as Crete to other islands are explained below. Crete is well connected to Athens, Mykonos, Santorini and other Cycladic islands as Paros, Naxos, and Ios. During summer there are frequent connections to Chrissi, Gavdos, and Kasos. Crete is connected to Athens through the port of Heraklion and Chania with daily ferry schedules to Piraeus that operate all year round. During the summer season, there are three or four ferries that serve these routes. The ferry tickets for the economy seat from Crete to Athens are quite cheap, while you can also find affordable options for reserving a shared or a whole cabin in order to enjoy a pleasant and relaxing trip. The ferries that go to Crete, have plenty of space for you to take your car. However, if you are traveling in summer you should keep in mind that availability may be quite narrow, making it necessary to book your tickets well in advance. And Ferryhopper will help you to do so! You can also check the main information on the ferry route from Crete to Athens. The ferries that connect Crete to Santorini and Ios are departing from the port of Heraklio. This is a seasonal ferry connection and during summer there are two or three high-speed ferries per day. The ferry service is operated by SeaJets, Minoan Lines and Golden Star Ferries during the summer period. The tickets for high-speed ferries cost ~70€ and the trip from Heraklion to Santorini lasts 1h and 45mins. From spring (April or May) to mid-October, most of the ferries that go to Santorini also connect Crete to Mykonos. The tickets for cost ~70€ and the trip from Heraklion to Mykonos lasts 4h and 30mins. The ferries that connect Heraklion to Mykonos, are also calling Paros and Naxos, widening the options of an island-hopping experience. The port of Crete that serves Gavdos is Sougia in the southwestern Crete. During summer, the ferry departs from Sougia to Gavdos 3-4 times per week. Heraklion is located on the north coast of Crete. It is the largest city of the island and the fourth largest in Greece. When traveling to Heraklion, one has many options to enjoy their stay. A good place to start is a scroll beginning at the crowded lions square, down to the old port, where the Venetian fort stands majestically over sailing and fishing boats. The history enthusiasts will, of course, visit the amazing archaeological museum and the ruins of Knossos, while the food lovers can enjoy the amazing Cretan cuisine, or rather a big fat Cretan-style gyros. The more adventurous will walk through narrow streets to find the hidden raki places, where the locals spend many of their evenings. Last but not least, one should explore the surroundings such as the beautiful village of Arhanes, and the nearby beaches of the north coast. When traveling to Chania, you should always take the ferry! When you arrive early in the morning, a warm coffee welcomes you to the one of the most beautiful cities of Greece. The view from the Tombs of Venizelo's family, the neighborhood of Tambakaria near Halep and the nice walk to the lighthouse in Chania port are really worth to see. If you have a car you should also visit Falassarna, Kedrodasos, and Argiroupoli that are located within the region of Chania. To sum up, the city and the wider region of Chania are one of the best places to visit, not only in Greece, but in the whole world!